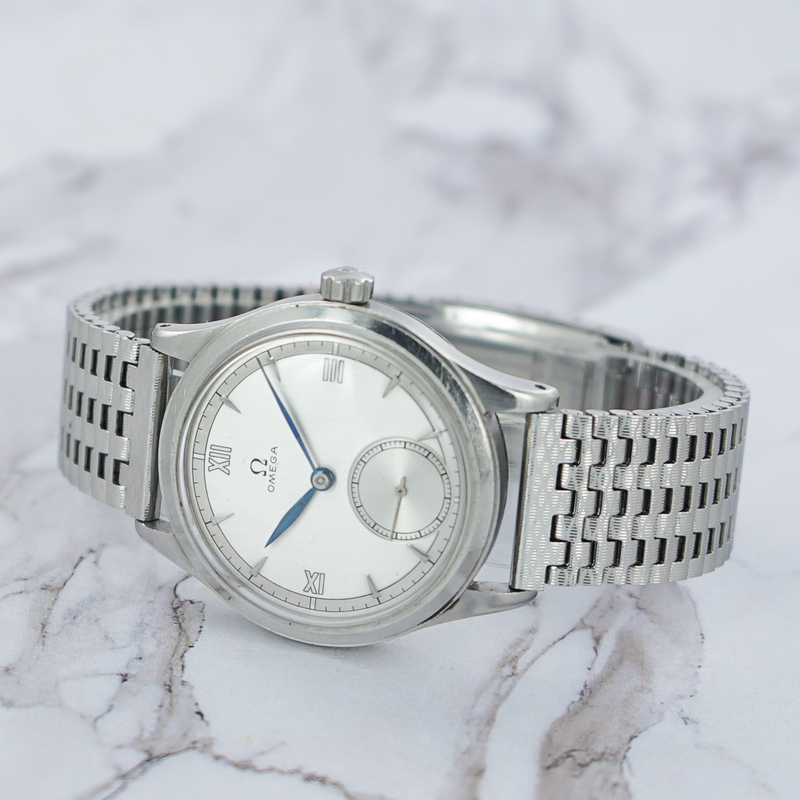 This rare Omega is the finest of the early 40s timepiece production. 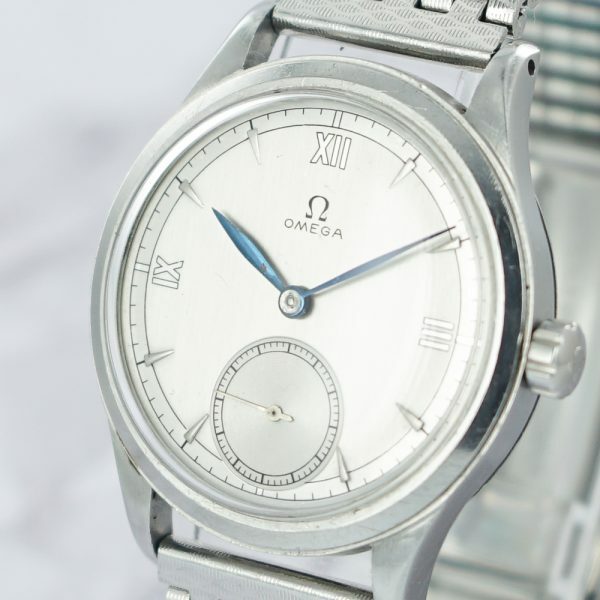 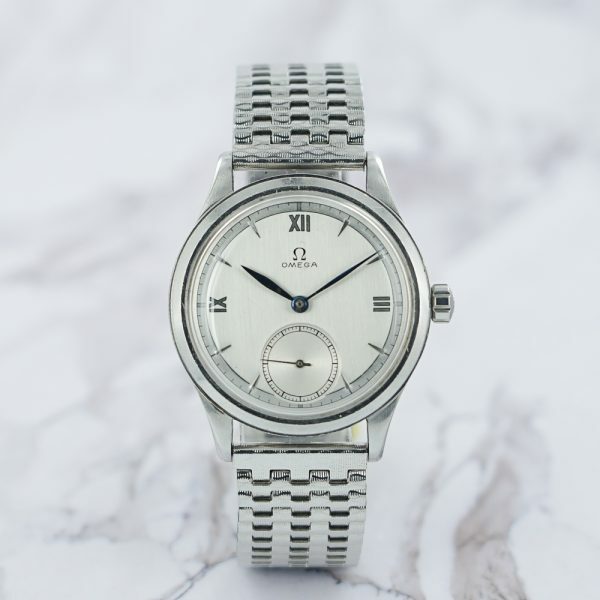 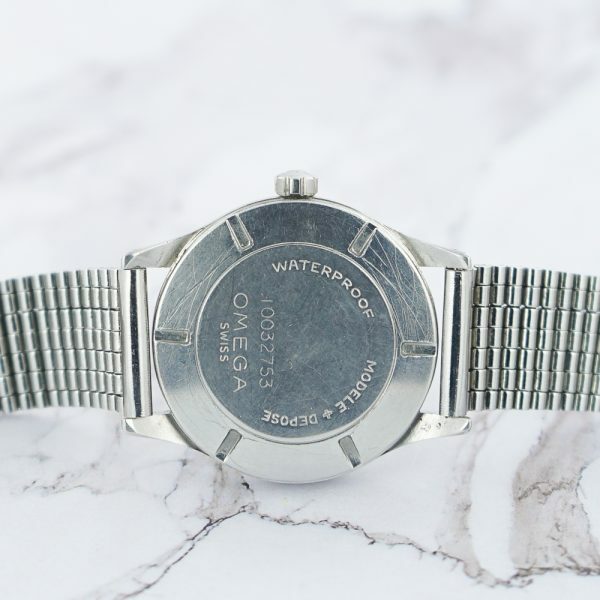 Dating back from 1944, according to its case serial number, it comes from a period where Omega was not stamping any reference on the casebacks. This model is rare for its design, but also construction, as most of the watches produced back then were coming with a snap caseback, whereas this one is a screw down one. It features a pristine silver dial with small second, and literally stands out, thanks to its royal blue hands, in superb condition. 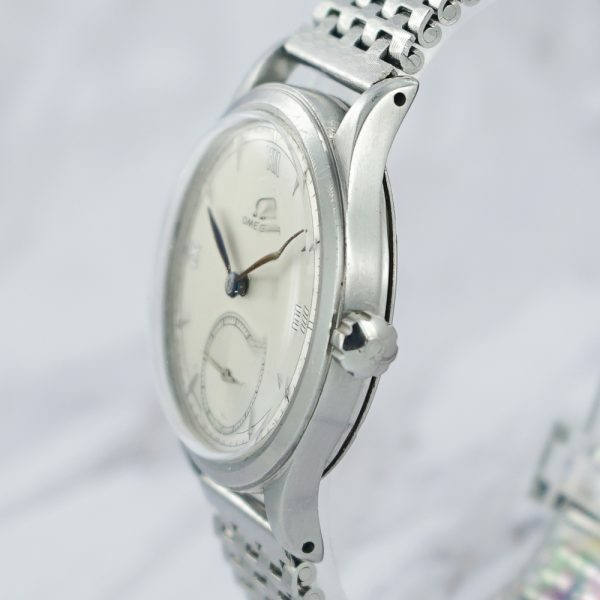 Coming on a nice and NOS vintage steel bracelet, it is a true keeper. 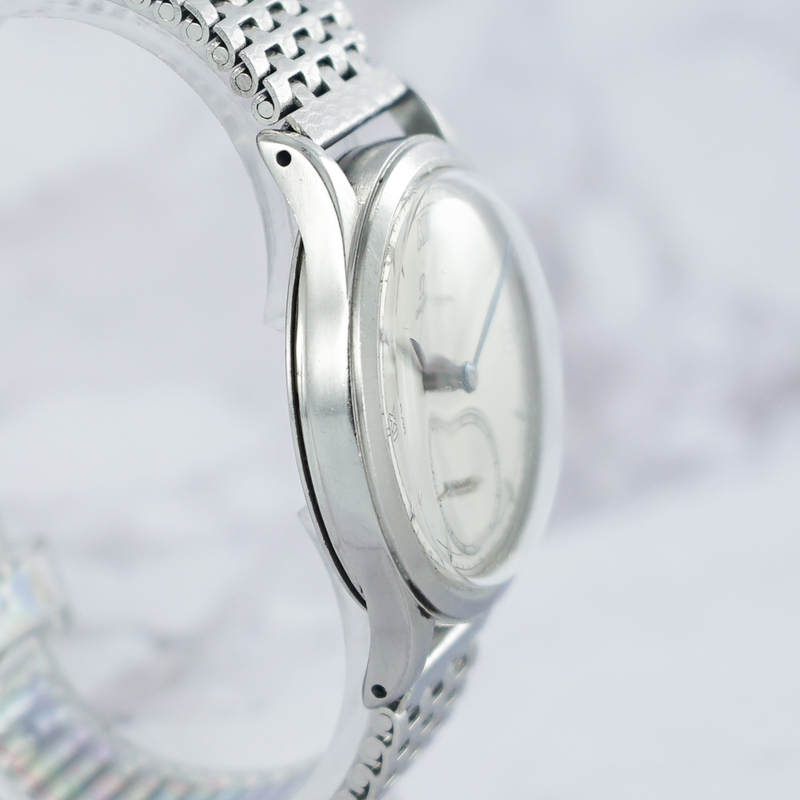 The watch is overall in excellentcondition. 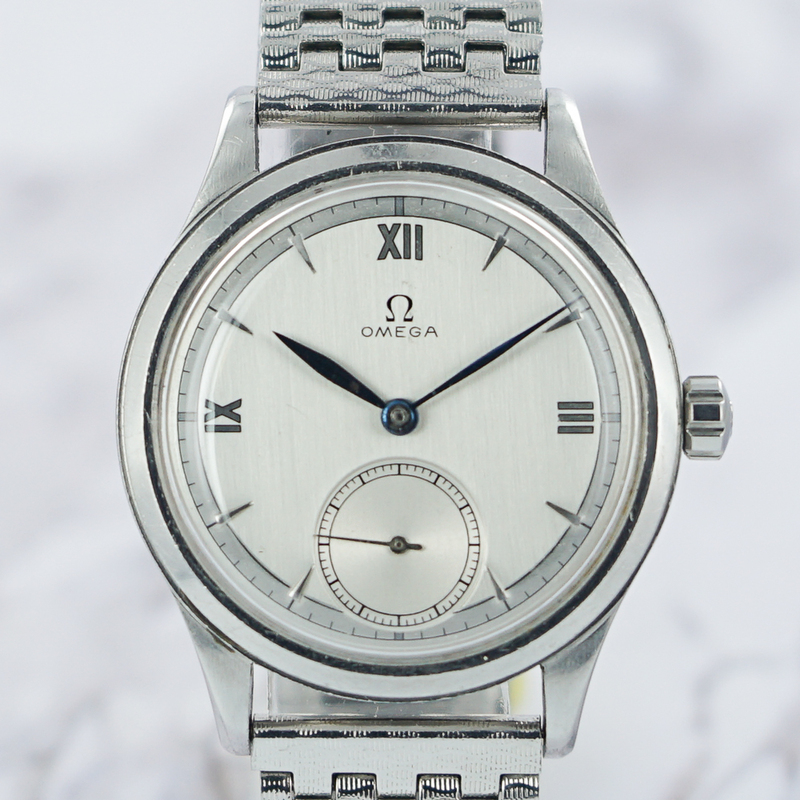 Dial is close to perfect, as are hands. 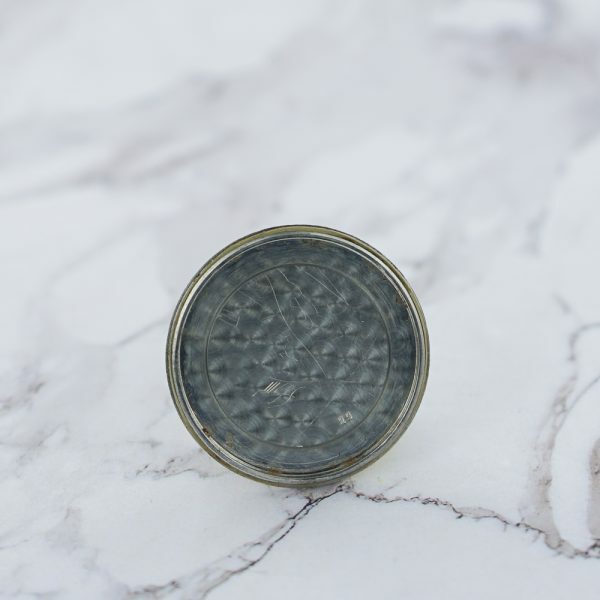 The case has moderate wear, and is most likely unpolished. 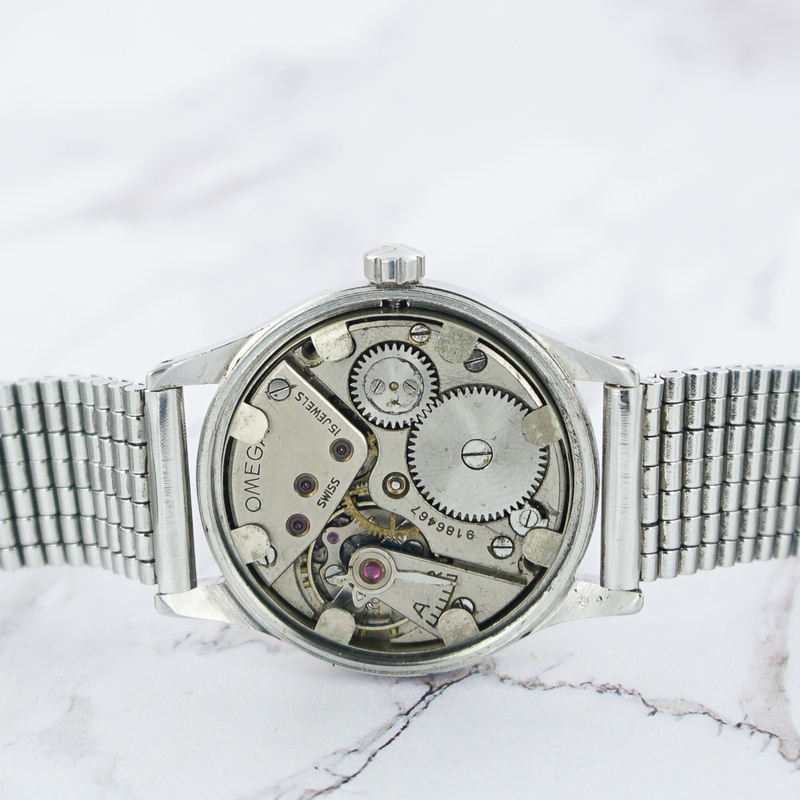 30T2 movement is perfect and runs great. Crown is a later replacement (from the 60s).